White bass are distributed widely across the United States, particularly in the Midwest. They are very abundant in Pennsylvania and the area around Lake Erie. 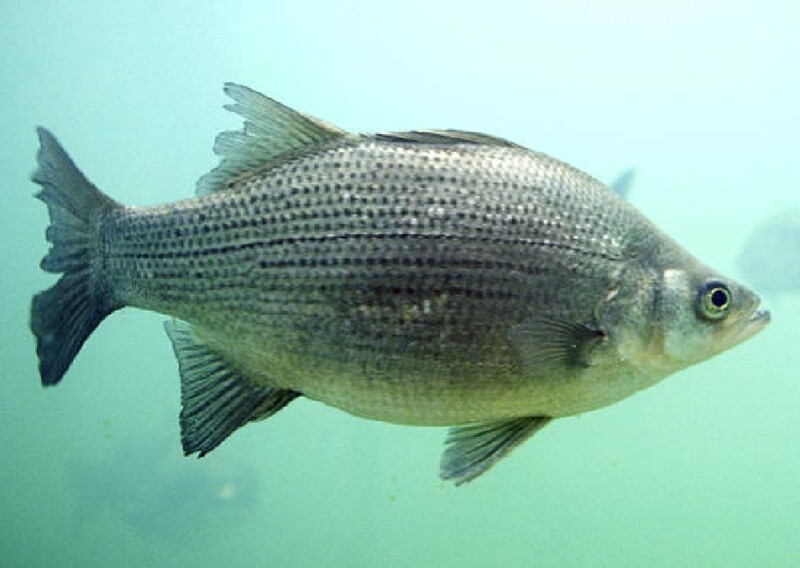 Some native ranges of the white bass are the Arkansas River, Lake Erie near Cleveland, Ohio, and Lake Poinsett in South Dakota White bass have also been found in rivers that flow to the Mississippi. Native to many northern habitats, they have been introduced in many different waters around the United States, particularly in southern locations. They were also successfully introduced to Manitoba starting in the 1960s, where they have gained importance as a sport fish. 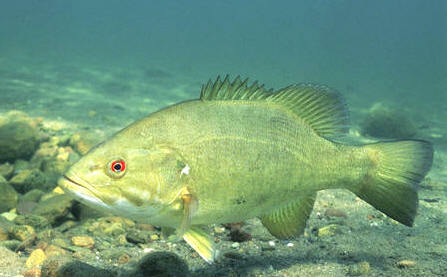 The smallmouth bass is generally brown (seldom yellow) with red eyes, and dark brown vertical bands, rather than a horizontal band along the side. There are 13–15 soft rays in the dorsal fin. The upper jaw of smallmouth bass extends to the middle of the eye. Their habitat plays a significant role in their color, weight, and shape. River water smallmouth that live among dark water tend to be rather torpedo-shaped and very dark brown to be more efficient for feeding. Lakeside smallmouth bass, however, that live in sandy areas, tend to be a light yellow-brown to adapt to the environment in a defensive state and are more oval-shaped.